It’s a Sunday morning and I’m on a two hour train ride home to see my new nephew. The sky foreshadows things I hope won’t happen, and Elk Bell’s SuperFragilistic offers itself as the soundtrack to at least half of the two hour trip. “Holiday Island” starts the record and my trip. The slow pace matches the pace of this so called “efficient” form of public transportation. Funny that a song about a holiday would be the first one as I leave a hearty tourist destination and only see things that a tourist would never want mementos of; trailer parks, and a concrete river. Passing Baldwin Park, I realize why I decided to write this like a letter to a friend, or a diary entry. One, I just finished Perks of Being a Wallflower and two, there were moments in SuperFragilistic when I felt like Elk was just singing her journal pages for the world. “I’ll Love You if You’ll Love Me” is not a concept I can say I’ve thought about, ever, but it’s one some might explore after hearing this one. Then there was “Never Wanted You Like I Do Now,” which played out like a unnerving song of infatuation. One listen and you can see the lyrics written over and over again in a notebook hidden under a mattress. Overall, the songs wear a somber shroud, nothing too lively except “A Little Cold Outside.” It’s a repetitive, fun track that you wouldn’t mind singing along to in a hairbrush. 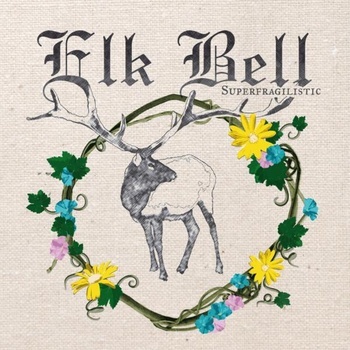 Elk Bell’s SuperFragilistic is for fans of the likes of Vanessa Carlton and Jewels’ less mainstream, pop hits and more of their singer/songwriter works that are the soundtracks for open mic nights in the heart of New York. Right now I’m sitting in a hallway waiting for my boss to open the door. I get here about an hour before everyone because I can’t stand the sight of most people, okay all the people I work with. I’m counting down the hours until I can gab with my mom about last night’s The Voice and tell her that Jane Smith of Belle Histoire should really be on there. I mean if Dia Frampton, Juliet Simms and Charlotte Sometimes can, why not? Jane shows off her chops with the rest of Belle Histoire on their new EP I Can Tell; half the best part of your day and the other half for the downtime when you’re alone and questioning everything from relationships to reality. “Stay Awhile” and first single “Be Alright” set the tone for a New Girl episode. Cue the dough eyes Ms. Zooey D. Both are light reminders of why we smile when we hear a good song. “Stay Awhile” has a more indie feel, while its partner in delightful crime had positive vibes escaping every which way. It was the tracks down the road that turned things around, but not in a bad way. Okay, well “Misguided” had a line “nothing to say” that kind of rang true because that track fell behind. It was as if I tuned out until it was wrapping up. But “Sailing Ships” brought me back and reminded me of the calmer parts of Paramore’s Brand New Eyes, well executed harmonies between male and female counterparts that pulled the record together. 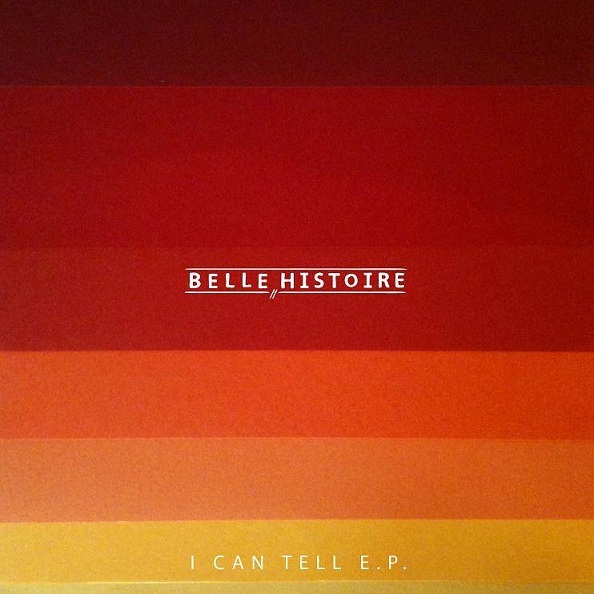 Belle Histoire’s I Can Tell is for those who like airy music that packs in a lot of depth when it’s slowed down a notch. Those who once covered their notebooks with Rilo Kiley tales told in lyrics, and take the time to go and see Eisley will enjoy I Can Tell, know how I know? I can just tell. There are some songs you hear and instantly say, “Now, that’s a radio hit.” Then you have other that leave you staring like you’ve seen Bigfoot, Casper and Dracula having a tea party; confused and scared all at once. That feeling never left me as Breag Naofa’s self-titled. And while it may be only four tracks, the album will be 40 minutes of your life, and if you’re into testosterone driven rock that lacks the fluff of mainstream hits, then this rock record you’ll spend way more than 40 minutes with. It’s a fact I think horror movies are cheesy but it’s only because I love the reality of fear. And “I” is just that. It starts off with a murderous voice and then for a couple minutes you’re left a hostage of sound as you wait for what’s around the corner. Finally the vocals come in and you’re at ease once more. “II” doesn’t leave you waiting around that long and the lyrics kick things into gear faster than the previous. But in the end, it takes a special listener to get what’s being said. Trust, this isn’t for the pop punk ears. It’s more the style of my older brother who wore nothing but black band tees and long hair to match as he head banged while I played obliviously with Barbies. Nothing I would ever take on as my own, so I pass along Breag Naofa self-titled album to those who will appreciate every guitar, bass, drum and word to escape it. Fans of Callisto and Isis are welcomed to take Breag Naofa under their metal wings and give this Seattle band a home.